Congratulations Darlene Love! She is one of the new inductees into the Rock n' Roll Hall of Fame in 2011. Of course, she's being honored for her work as a singer. She has a long list of hit songs as a member of the girl group The Blossoms as well as her solo work. Darlene Love also has several connections to Christmas on TV. Her annual appearance on Letterman's late night talk show where she performs the 1963 hit song "Christmas (Baby Please Come Home)" has become a much anticipated tradition. Love's vocals are also the attraction to the Robert Smigel stop motion animated segment that appeared on Saturday Night Live as a TV Funhouse short in 2005. This parody song is entitled "Christmastime for the Jews." This short remains a viewer holiday favorite and can usually be found among the clips in the Best of SNL Christmas shows. And, it is the same Darlene Love who took up the role of Trish Murtaugh (Danny Glover's wife) in the 1980s Lethal Weapon buddy cop films. Many people still enjoy watching the first in the successful franchise of action movies, released in 1987, which took place at Christmas. 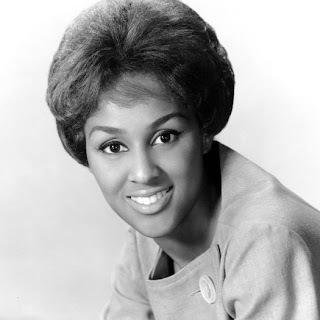 Again, congratulations to Darlene Love on her most recent success and much deserved place among rock n' roll royalty. I can hardly wait for December to see her perform on Letterman again. Darlene Love has been a Christmas favorite of mine since the day my father brought home an LP of Phil Spector's Christmas album. Never thought of it until I read this,but between Letterman,SNL,'Lethal Weapon' and radio play on "All Christmas music" stations, Love could probably claim to be "Queen of all media" in December! I posted about her Letterman appearances back in December at our blog. Love's performance of 'Christmas(Baby Please Come Home)' is a big event in my family, we gather at my parents' house to watch it almost every year. One of the saddest moments of the 2007 Writers' Strike was that Letterman was off the air, so we didn't get a new Darlene Love performance. Christmas wasn't quite the same for me that year. It's great that Love has gotten so much respect and attention in recent years, considering that Spector nearly destroyed her career and she was contractually forbidden from recording for a while. A belated "thank you" for adding us to your links, I hadn't noticed that until today. We've got some "Easter themed" posts coming up in the near future. Hi Joanna! Great post on Darlene Love - as Jason says, she is a holiday tradition in our family. Thanks for adding us to your blog roll - we are honored. And there is a shiny new post up there now for your reading pleasure.